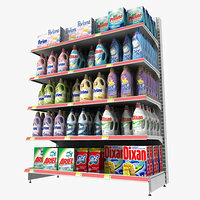 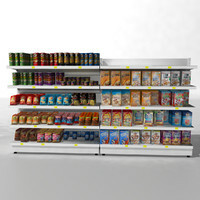 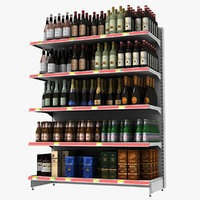 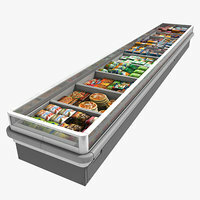 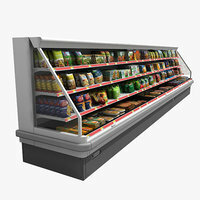 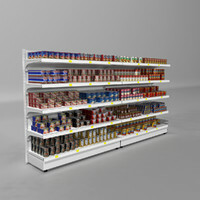 3d model of a Supermarket shelves collection and cash counter.Useful to facilitate the composition of a supermarket. 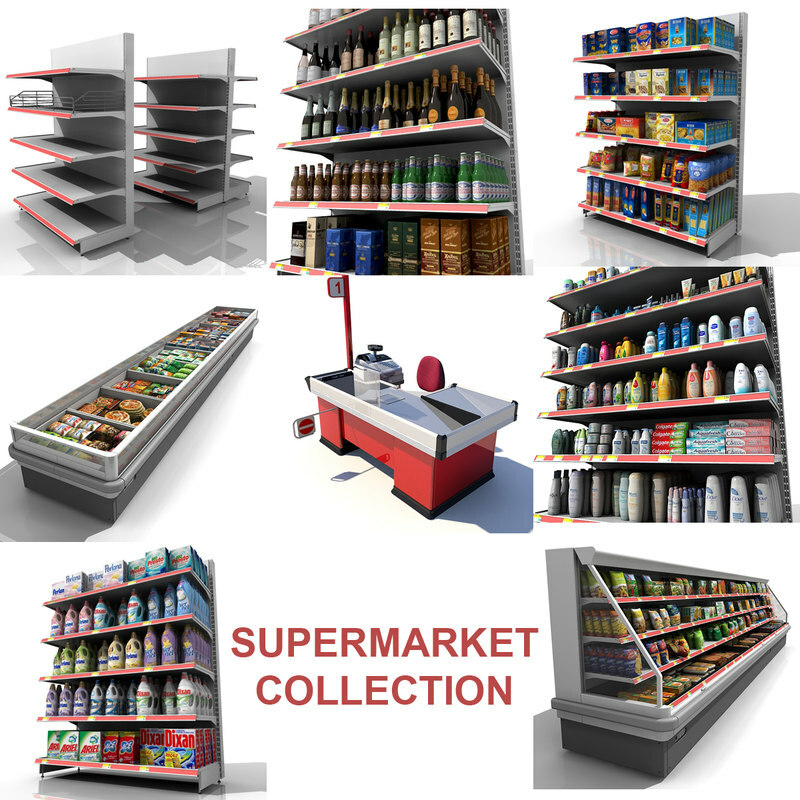 Include 4 full shelves(wine,pasta,personal hygiene and detergents), 2 full refrigerators , 2 empty shelves and a cash counter. 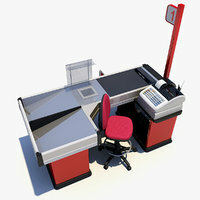 To see more detailed descriptions about model geometry lighting etc , search the individual products. 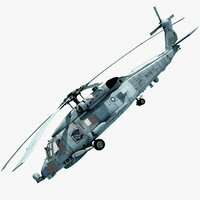 The models have real measurements. 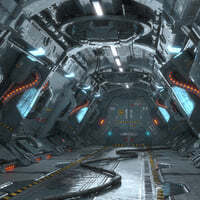 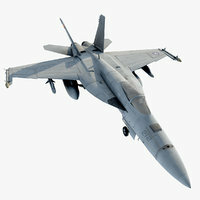 Only in the 3ds max version lighting and environment are included. 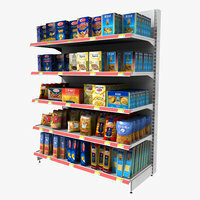 All shelf products are UW unwrapped. 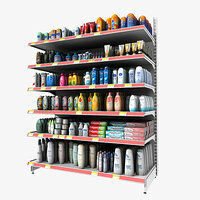 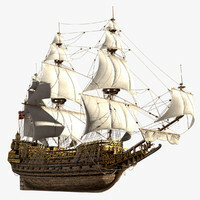 Models are available in separate files.